Â Â Great color, style, and construction. Matches the rest of my furniture very well. Ordered three, will probably order more when my other chairs need replacing. These are very sturdy chair for families with kids. These chairs were easy to assemble and matched perfectly with our dining table that we bought a few months ago but didn't have the chairs that were included. Bassett Mirror chairs are the perfect addition to our dining room table from Aramis Collection. Â Â Needless to say, they have been tested to their limits and they are still like brand new a year later. Love the style and build. They work perfectly with my table and IÂ’m really impressed with how well they are built. Because whenever I have bought chairs in the past they have been wobbly and not sturdy. The description of these on the website was perfect. The chairs are very sturdy. We like them a lot. 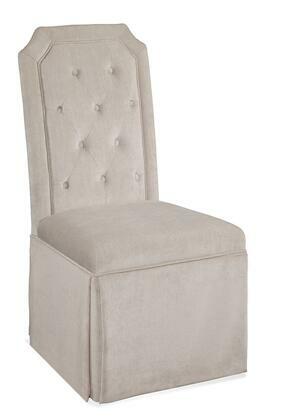 I would highly recommend the Aramis Chairs to everyone from Bassett Mirror. I'm not using these Aramis Collection chairs from Bassett Mirror for a kitchen/dining room, but for an office chair and a spare for when my brother and I sit at the computer together working on a project..
Intercon Furniture Looks very good with our farmhouse table. Highly recommend these Aramis Dining chairs. And wife is very happy so that's all that matters. Plan on buying 4 more!! Happy Customer. Â Â These chairs are just what we were looking for in just the right color. Delivery was quick and generally without incident. I love the classic look of these chairs. They are very durable and are a great addition to any dining table. Â Â Purchased these chairs for my son & daughter-in-law to add to their current table. Very sturdy, solid wood chairs. She loves looking at them and using them every day. So glad I purchased these chairs.